Do you remember when your parents or teachers told you "when you grow up, you can be whatever you want to be?" Well, last I checked, I am not a professional hockey player and am pretty convinced that I won&apos;t become one anytime soon. Instead, I have been a jack of all trades working in at least eight different vertical markets in the last 20 years. The good news however, is that at 43, I am "grown up" and I know I want to be an entrepreneur. In actuality, I think I have always been an entrepreneur. I just hadn&apos;t found the right concept to throw my full passion behind. After starting my first company, The CoLab Group, in 2015, I decided to start my second company after my wife and I rode on one of Indianapolis&apos; local pedal pubs last summer. And with that ride, The Pint Cycle idea was formed. Fast forward to today, The Pint Cycle is on its way to becoming a reality in Fishers, Indiana. After working closely with the City of Fishers, The Pint Cycle is targeting a soft launch in June 2016. 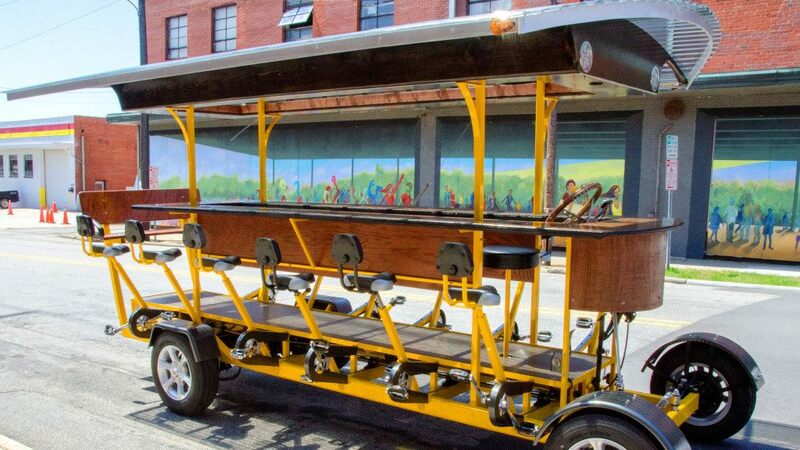 The bike itself is a sixteen-person pedal powered bicycle that will tour the City Center of Fishers, Indiana, with fixed stops at local breweries, bars and restaurants. A tour stop agreement has already been established with Four Day Ray Brewing, Brixx Pizza and Nickel Plate Bar & Grill. Tours can accommodate 8-16 people and has one handicap accessible seat as well. Standard tours are two hours in duration and can be booked starting in August Monday-Sunday starting at 12 p.m. with the last available tour starting at 8 p.m. In addition, a number of specialized tours will be available starting in June including Tuesday Night Summer Concert Series, Friday Amp After Dark Concert Series, Saturday Mimosa and Farmers Market, Wine Wednesday and others as well. All tours are open to anyone 21 years or older, and are BYOB (beer and wine only). Standard tours will stop three times for 20-25 minutes at each tour stop allowing passengers to sample some of Fishers&apos; unique local establishments and their foods and beverages, while Specialized tours will have greater flexibility with stop locations and durations. Specialized tours booked Monday- Thursday will be $315 and tours booked Friday- Sunday will be $415. Specialized tours fees will vary by event, but will be similar to Standard Tour pricing. All tour participants will receive a complimentary The Pint Cycle 16 oz. reusable cup to keep during and after their tour. 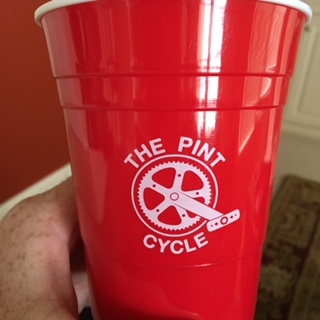 The Pint Cycle is great for corporate team building events, bachelorette/bachelor parties, fun with friends, fans of beer and/or wine, and any other social events. Group and individual signups, along with limited edition merchandise, will be available online. In addition to all the excitement that comes with launching a new venture, we are also excited about identifying a nonprofit partner each year within Hamilton County. Our goal is to be able to work collaboratively with an area nonprofit organization to help generate revenue and awareness for their mission. Please feel free to contact us if your organization is interested in learning more about this partnership opportunity. Needless to say, The Pint Cycle is excited to become part of the local community and provide an entertainment concept that is not typically found in other suburban markets across the country. But that is what makes Hamilton County a unique and desirable place to live, work and play. We look forward to seeing you on The Pint Cycle this summer and hearing what you want to be when you grow up. Chris has always been an entrepreneur. After starting his first company, The CoLab Group, in 2015, he decided to start a second company after he and his wife rode on one of the local pedal pubs last summer. And with that ride, The Pint Cycle idea was formed.